Does My Bathroom Offend You? A few days ago, Grant decided to do some work on our shower. The caulking was in desperate need of some TLC. When the builder replaced the caulking after we moved in, I think it was still a little wet in there so we have had issues with it for a while. Because Grant pulled all the caulking out and bleached everything, we want to give it a few days to dry out so we have been showering in our guest bathroom. 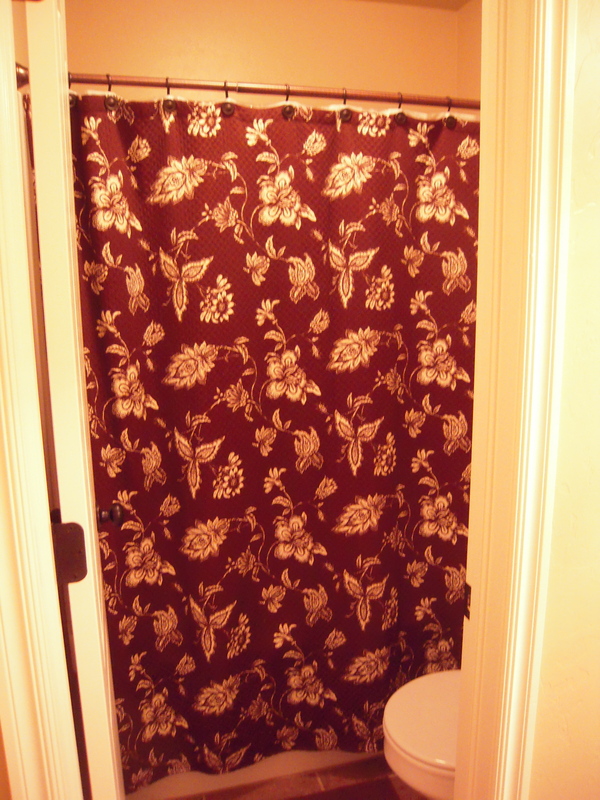 There are two separate rooms in our guest bathroom. The first room has two sinks and the second off that holds the shower/tub and toilet. 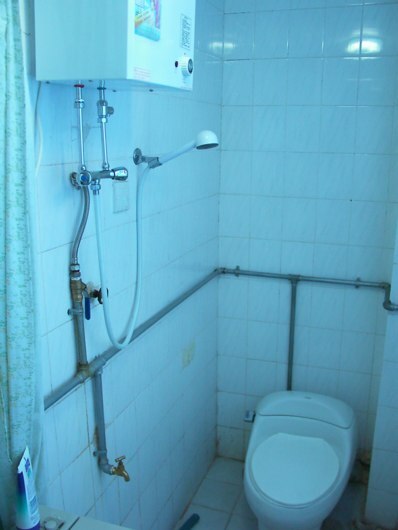 As you can see, the shower and toilet room is a little tight! I don’t mind it though because there is only so much you can do in the shower or on the toilet! 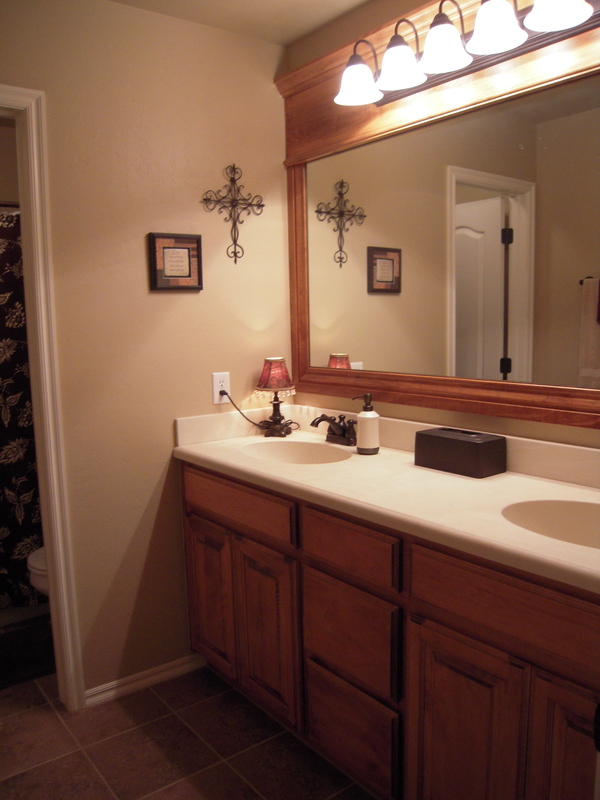 When I’m in the bathroom, I spend most of my time in front of the mirror and sink. 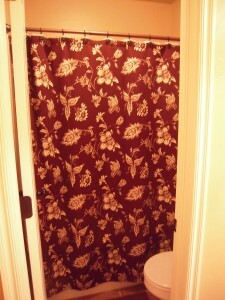 I was really freaked out by this bathroom in my dream… it was quite offensive!!! Now I worry that my guests find my bathroom offensive. I think our guest bathroom is beautiful and I am actually really happy that the shower and sinks are in two different rooms even if that means you have to stand in the shower to open the door to the shower/toilet room. This dream left me a little tickled! I have been having a lot of dreams correlating with things that actually happened in my life. It makes me laugh!